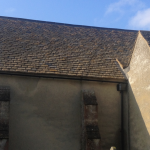 In my capacity as Church Warden for St. Mary’s Church, Longworth I am pleased to recommend the services of Abbey Roofing Contractors following the work which was recently undertaken to replace and repair the Cotswold stone roof on one elevation of the Chancel and the Vestry alongside. 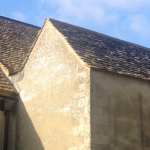 The work was undertaken to a high standard, there was regular communication throughout, both parts of the Contract were completed on time and the additional costs kept to an absolute minimum. As the Project Supervisor it was a pleasure to work with Mr Baker and his team.